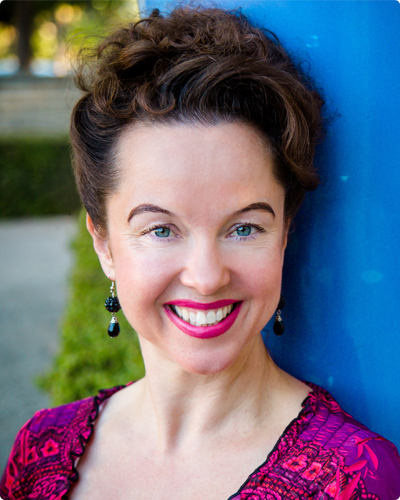 Dondi is a published author, award-winning public speaker, and internationally-acclaimed dancer, actress, and teacher. She co-wrote The Little Book of Energy Medicine (Tarcher, 2012) with her mother, Donna Eden, and heads the “Teach the Teacher” program at The Eden Energy Medicine Certification Program in Phoenix, Arizona, where she also teaches teachers public speaking.From 2001-2008 Dondi taught the Five Elements at the renowned Feathered Pipe Ranch in Montana. She has been teaching the Five Elements for 13 years at OMEGA Institute in New York and at various Eden Energy Medicine workshops around the world since the 1990s. Dondi has been on stage and in television, film and radio since she was a little girl doing acting, dance, voice-overs, and public speaking. She is at home in front of cameras and audiences after performing for over three decades and in over 30 countries. As a college student, she received the coveted, “Outstanding Speaker in the Nation” award and is currently a member of The Screen Actors Guild. As a touring dancer, she was chosen to be the main radio and TV spokesperson for Miles Copeland and “The Belly Dance Superstars,” a 14-person professional dance troupe that performed in over 10 countries and 20 states. See more about Dondi and her family. Also listen to an interview with Dondi and her mom, Donna Eden as she talks about her childhood, having a healer as a mother, and growing up with Energy Medicine as a part of her life. Dondi introducing Dr. Oz’s Ayurveda expert, Dr. Kulreet Chaudhary at the International Gathering of Eden Energy Medicine. Welcome to LearnTheFiveElements.com! Are you a water, wood, fire, earth or metal personality type? The healing, power and impact of the five elements can have a tremendous effect on your relationships and life. It is my goal to share the secrets and knowledge of the five elements with you. Join the evolution today!